Clear Flour is about to get yet another award. This time, it is not so much about bread as it is about community. 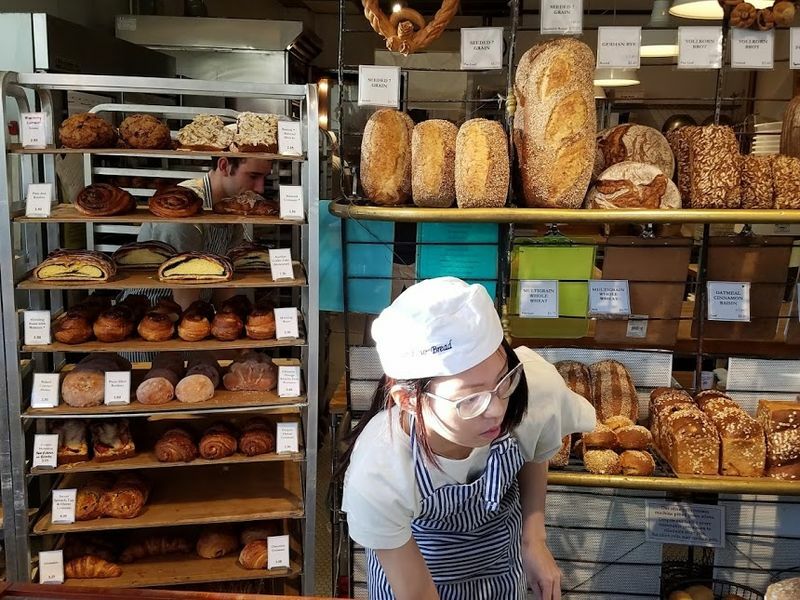 At the 7th Brookline Youth Awards on May 17 at the Coolidge Corner Theatre the Ethel Weiss Service Award will be presented to Christy Timon and Abe Faber, owners of Clear Flour Bread. The small bakery tucked into the mostly residential corner of Brookline where Thorndike meets Lawton and Hamilton streets has grown since the days when it was just a table with a pile of baguettes in 1982. Today, Clear Flour is an award winning bakery, recognized across the country as the upper crust of baked goods. The bakery’s list of awards and recognition goes on and on, recognized by Best of Boston, Zagat, Thrillist, TimeOut, the Globe, the Brookline TAB – James Beard (twice a finalist). It was the first bakery to introduce artisan bread baking to the Boston area and all bread and pastry is made from scratch daily. But Wednesday, the couple will be recognized not only for its commitment to traditional values when it comes to making “insanely great baked goods,” available to youth in the Brookline area as Harvey Braverman who is behind the Brookline Youth Hub Awards, put it. But because of the role the two have taken in mentoring young people over the years. The duo have mentored many a bread baker who have gone on to set up their own successful businesses. And they’re active members of the community. And there’s another reason, too. “It’s because of Abe and Christy’s humanity,” said Braverman. Every day, trucks and vans from local nonprofits line up outside the back of their bakery to bring homeless and hungry people bread. It is something the duo do not announce on their website or on Facebook. “They have never sought attention or recognition for their acts of devotion and kindness,” he added. The Ethel Weiss Service Award began in 2015 to honor the Brookline businessperson who best exemplifies service, commitment and passion toward Brookline young people. It was first given to Ethel Weiss of Irving’s Card and Toy Shop that same year. Last year the award was presented to Chobee Hoy.